Before giving me a side-eye with thoughts like, “here we go again with one of those “conspiracy theorist” nut jobs!” The purpose of this post is not to engage in the debate of the media melee surrounding Richard Sherman, but to point out some very subtle but obvious facts that supports my theory of why I believe this was staged. 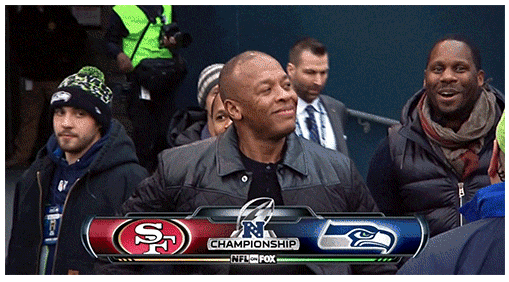 1) At the NFC Championship between the Seattle Seahawks vs San Francisco 49ers, on FOX Sports there was a shot of Dr. Dre walking onto the field at the beginning of the game. Usually when we see shots of different celebrities at NFL games, most of them are seen in a press box or suite. Screenshot is from the BigLead.com. 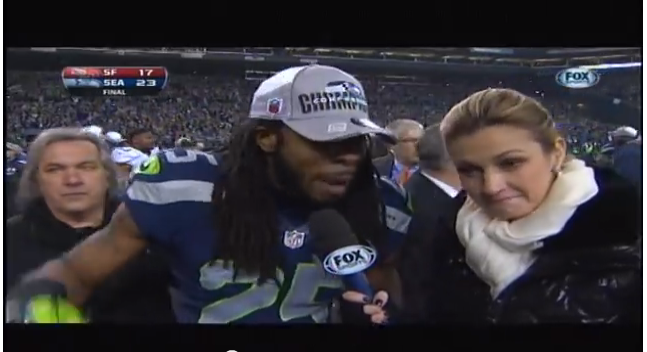 2) After the awkward interview on FOX Sports that we all have been talking about the past week, Sherman has been the center of attention amongst thirsty reporters. So hold that image in the back of your mind. 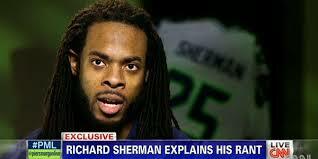 3) Richard Sherman hits the media circuit to clear his name and address the critics. This screenshot is from his interview on CNN. Take note of one of Sherman’s concerns is the fact that some were labeling him as a thug. 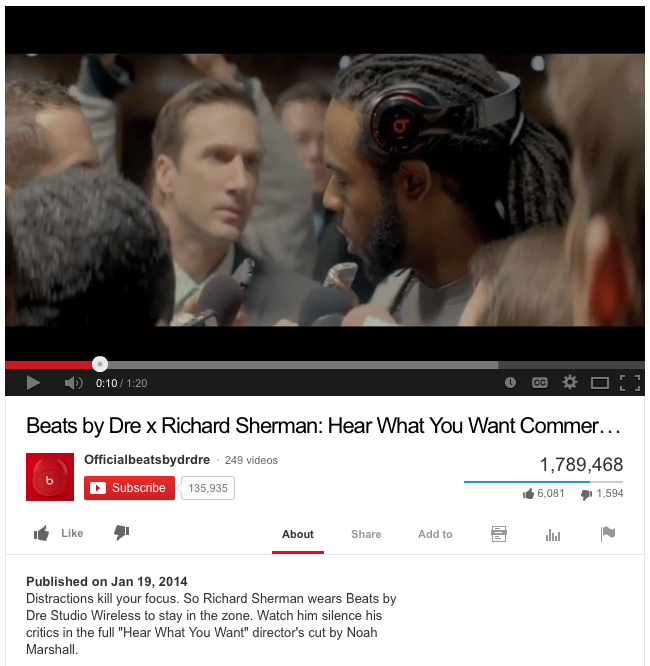 4) The clincher in this whole scenario is the Beats By Dre commercial featuring Richard Sherman. Check out the screenshot from the “Officialbeatsbydrdre” YouTube channel. Notice the date the video was published, which was on the day of the Championship game, January 19, 2014. 5) In this commercial, Sherman is addressing the same questions he’s been responding to all week. So one must ask himself, If this was not staged, how could there be a commercial produced and ready to run on the day of the game mentioning everything that the mainstream media talking heads are covering throughout the week? On Flow of Wisdom Radio, I’ve interviewed Brian Tuohy, the author of “The Fix is In” a few times. In his book, he proves how pro sports is fixed and in some instances games are rigged to produce a certain outcome. The NFL is pure entertainment and the league knows that. All they want to do is sell tickets and generate revenue off you passionate die-hard fans. The question I’d like to know is what strings got pulled from Jimmy Iovine to get Roger Goodell and the NFL to allow this soap-opera play out the way it did. If you notice, Beats By Dre is a major sponsor for the NFL and NBA. If you ask me, the writing is on the wall. This entire debacle was perpetuated to create a storyline leading up to the Super Bowl and get all of us talking. Oh yeah, and sell a few headphones too! I would like to know your thoughts. Leave a comment below!